Fidget Spinners or “hand spinners” had become a popular craze nowadays. People of different ages, gender and race play with them doing different kinds of spins and tricks for fun and enjoyment. Do you know that the person who originally invented these fidget spinners is a mom from Orlando, Florida? Her intention was to promote peace after she saw young boys throwing rocks at police officers in Israel. She wanted to find a way to distract young kids and give them something soothing to release pent-up energy (Credit Source: New York Post ) So, therefore, it acts as a relief to people who suffer from anxiety and ADHD. 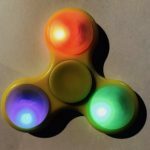 Fidget spinners could also benefit children with autism because it helped my son to focus thus lessening his sensory issues. He told me that it makes him happy every time he uses it because of its spinning motion. It reminded him of a fan that produces a soft sound every time it spins. He also likes the colorful light features that come out with it because it’s beautiful and soothing to see. These are the benefits that my son got from playing fidget spinners. It helps improve concentration because it helps calms the brain down. It acts as a stress buster for those who suffer from stress and anxiety. It addresses their sensory issues when it comes to different things that distract their attention because they are focusing on what they are currently doing instead of their surroundings. It is a creative form of “stimming” or repetitive behavior. It helps with fine motor skill development particularly pincer grasp which strengthens the muscles of the fingers. It is a great way to bond with your child if you will also join him in playing. These are all the benefits that children with autism could get by playing fidget spinners. 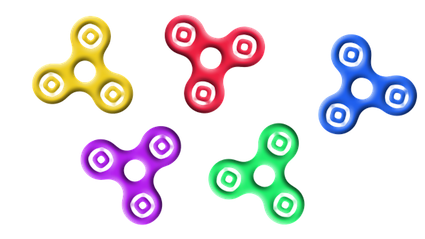 The video below demonstrates how fidget spinners benefit children with autism. Although fidget spinners have lots of advantages to children with autism, they are now being banned from most schools nowadays. 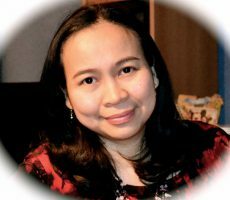 The reason is that it causes a distraction to other learners in mainstream schools. 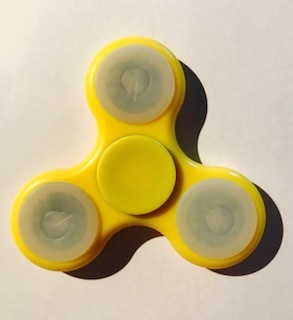 Many pupils are bringing different kinds of fidget spinners which they play and spin during class sessions. It distracts their attention instead of helping them to focus on their learning. Children treat it like a gadget which they could bring anywhere and anytime they want. 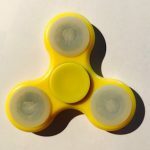 This unruly behavior has caught the attention of teachers from primary schools, who proposed the banning of fidget spinners in schools. So, fidget spinners also have its disadvantages when it comes to learning but I think the advantages outweigh the disadvantages especially to children with autism. Do you agree? Please tell me what you think by leaving your comments below. I love to hear your views about it. Thank you! What an amazing way for kids to release their tension. My grandson has these fidget spinners and just the other day was showing me how he uses it. They are actually quite good, the ones with the different colors. I had no idea it was created by an Israeli woman, no less, to distract kids from throwing rocks at the police! Thank you! Your post has enlightened me on this subject. It’s good to know that your grandson ishas his own fidget spinners. Does it help him to concentrate and improves his ability to focus in a particular task that you wanted him to do. It’s good to know that my article has helped you to understand the benefits of fidget spinners. Thank you for visiting! 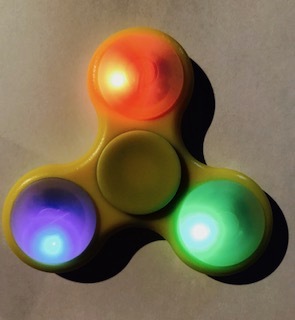 I am sure many people who do not know what spinners are knows much about them from your article today, this product would have been a blessing for my son with autism if they would have existed when he was a child. I have heard this product is used by many adults, some does not even have autism but it is a way for them also to ease their anxiety. Thank you, Jeffrey. Fidget spinners are indeed helpful to adults who suffer from anxiety. I also used it myself as a stress-buster. It helps me relax and ease my tension after a hard day’s work. If it is proven to relieve stress in common adults how much more to children and adults with autism? I vouch that fidget spinners are great gadgets for children with autism.